A couple of years ago, Jill’s grandma gave us a Wolfgang Puck Panini Maker as a gift. Honestly, I switched out the interchangeable plates and primarily used the panini maker as a waffle maker instead but this week Jill was craving panini for dinner. Because asparagus and zucchini are in season, we used these vegetables as the base of the panini. 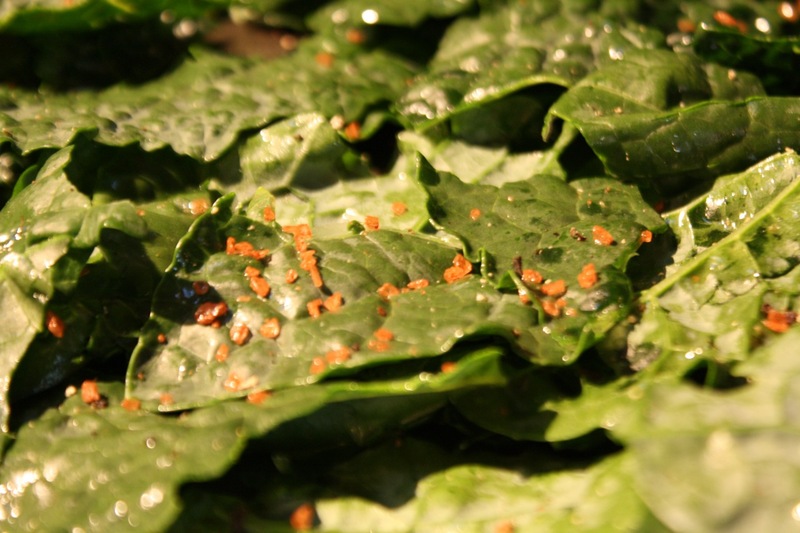 Kale chips sounded like the perfect, light side dish to pair with our cheesy, crispy panini. 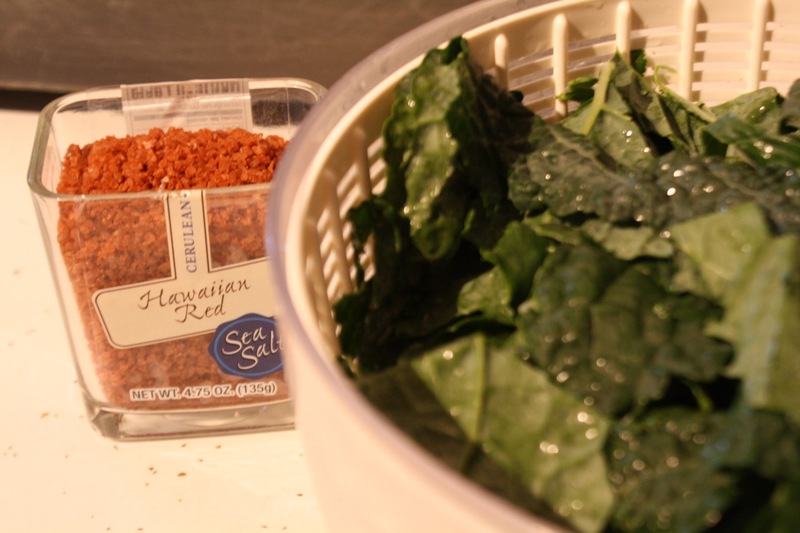 I basically followed the recipe for kale chips featured on the popular food blog Kath Eats Real Food (KERF) using Lacinato Kale and seasoning it with some Hawaiian Red Salt that caught my eye at Earth Fare. Of course, you can always make kale chips with other varieties of kale and kosher salt or other seasonings. Although I may have put a little too much salt on the kale chips, I liked the contrast between the deep dark green of the kale and the bold, clay-like red color of the sea salt. To make the panini, spread one and a half teaspoons of pesto evenly over two slices of bread. I used a tuscan boule from the Earth Fare bakery for this sandwich. Then, I sprinkled about an ounce and a half of shredded mozzarella over the two slices of bread. I sliced the zucchini into thin circles and I sliced the asparagus in half and then in half again lengthwise (to keep them from rolling around on the sandwich and also help them cook evenly). Grill the sandwiches on the panini maker until the cheese melted and the bread had golden brown grill marks. Jill and I split the sandwiches, each taking half of the asparagus panino and half of the zucchini panino. 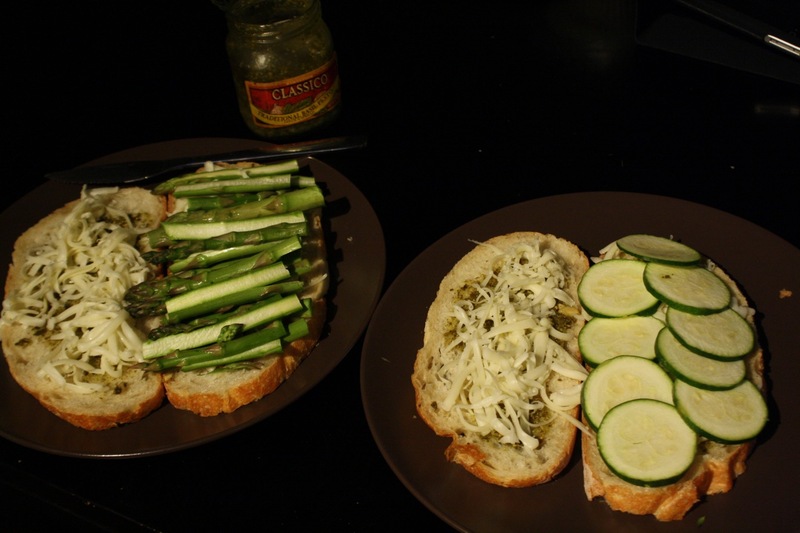 Though we enjoyed both, the consensus was the asparagus panino prevailed over the zucchini panino in taste. I thinkthe way the asparagus was sliced allowed for more mozzarella to melt between the vegetables, giving the asparagus panino delicious advantage over the zucchini panino. 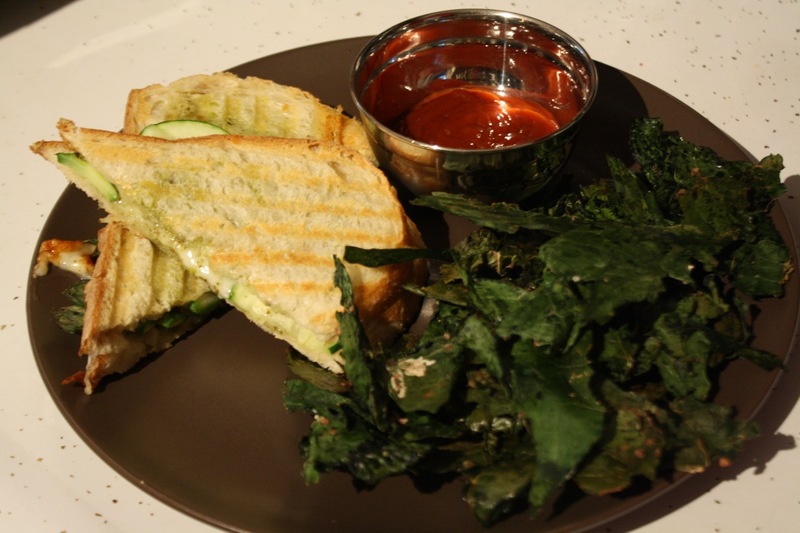 The kale chips paired well with the panini, making a dramatic (and healthy) alternative to potato chips. Although it seemed a little strange at first, we followed the KERF suggestions and ate the kale chips with ketchup and loved the flavor combination. 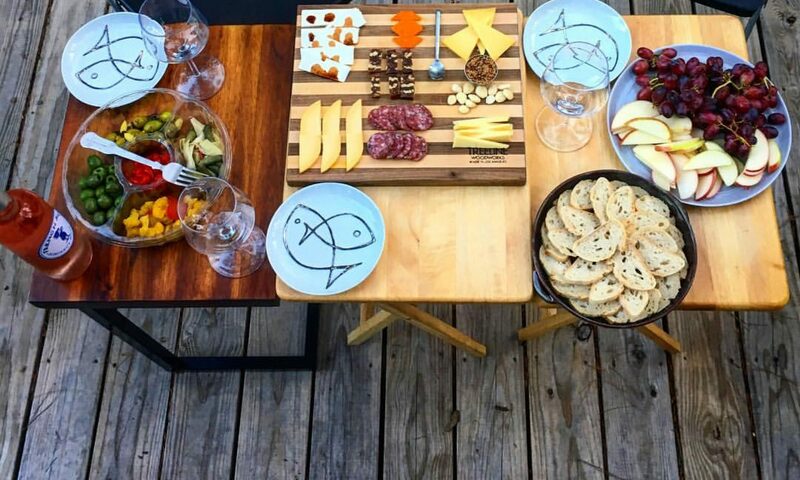 I encourage you to cook up some asparagus while it is in season and to be adventurous enough to make kale chips. Leave me a comment and let me know what you think. I think you are a brilliant chef 🙂 It sounds yummy, especially the melted cheese! Thanks. I have to make mamma proud!